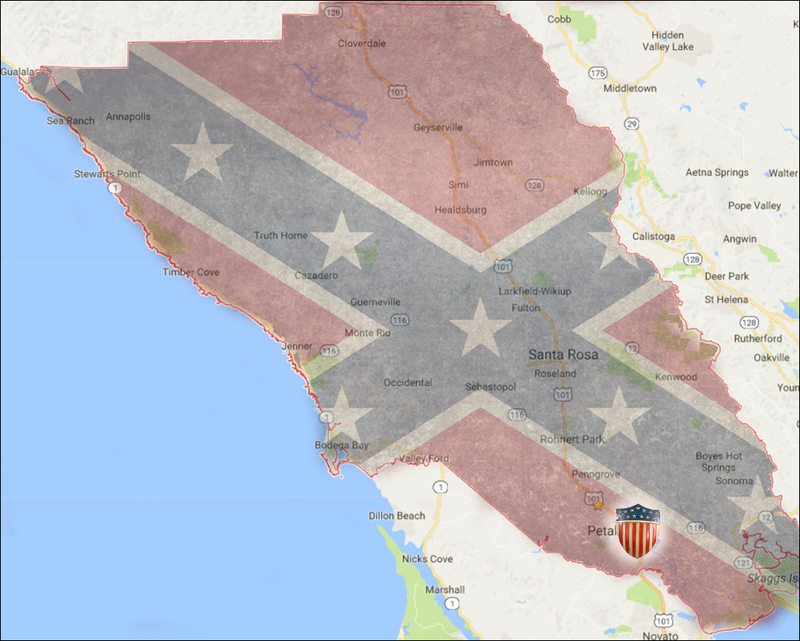 True: Sonoma county was on the Confederacy’s side during the Civil War (mostly). That fact never fails to draw a reaction when it’s mentioned here in an article and someone in the audience always gasps when it comes up in a presentation. But the situation was also not so simple. Being pro-Confederate in California did not necessarily mean someone was for slavery in the South, and voting against Lincoln did not even reveal the voter was against the Union; there were many issues at play. To (hopefully) clarify these issues and correct some misinformation that’s been floating around for decades, what follows is an overview of the Sonoma county homefront during the Civil War, using fresh statistical analysis and pointing out some relevant articles that have appeared here earlier. EXECUTIVE SUMMARY: Lincoln had support in Petaluma and some small hamlets, but never came close to winning the overall Sonoma county vote. In Santa Rosa, Sebastopol and Sonoma, Lincoln was always strongly opposed – but there is no clear explanation why those communities were so anti-Union before and during the Civil War. Five men from Sonoma county went East and enlisted as soldiers, most of them for the Confederacy. Further details on all these points are discussed below. What gave the voting records of Sonoma county significance was that Sonoma had the most people on the coast after San Francisco (Sacramento and counties in the Sierra gold country had the largest populations). Also among the never-Lincoln counties was Los Angeles – but in the early 1860s, Sonoma had more voters than them. Opposing Lincoln’s Republican party were Democrats taking a wide range of positions. Some hardliners hoped the South would defeat the North militarily or that Washington would give in and recognize the Confederate States of America as a sovereign nation. Moderate Democrats wanted to rejoin the Union with some sort of compromise over slavery. In Sonoma county, there were two big reasons why the Democratic message was unusually appealing – slavery and the idea that federal laws and treaties could possibly be overturned by the state. Besides election results, another way to take the pulse of a community was to look at its newspaper(s), which in Civil War-era Santa Rosa was the Sonoma Democrat, the direct ancestor of the Press Democrat. Judging by what appeared there, it would appear the town was gung-ho behind the Confederacy, even justifying African-American slavery without hesitation. Sonoma Democrat editor Thomas L. Thompson’s paper was astonishingly racist and continued being so long after the war. There were hundreds of uses of the “n-word” during his thirty-odd year tenure, and to squeeze that many hateful slurs into a four-page weekly suggests that Thompson was not only an awful person but probably mentally ill. There’s no question he was certifiably nuts when he committed suicide in 1898 – the coroner’s jury ruled he was “mentally deranged” after ranting that the Odd Fellows’ Lodge was out to get him. There were over a couple of dozen “Copperhead” newspapers in California during the Civil War endorsing pro-Confederacy views, as detailed below. Some (particularly the Napa Echo and Marysville Express) were quoted in the Alta and Sacramento papers as representing the views of the state’s rebel faction – but as far as can be determined by searching historic newspaper pages online, the Sonoma Democrat’s Civil War opinion pieces were almost totally ignored outside of this county, further suggesting what appeared in the Thompson paper concerning the war was not taken seriously. As the war slogged on, Thompson only became increasingly rabid in his support of Dixie, and by the end was even reprinting propaganda from Southern papers – see “A SHORT TRUCE IN THE (UN)CIVIL WAR.” A choice line appeared in 1864, when he wrote, “the abolition party who now rule the country have become completely demonized by the infernal spirit of fanaticism with which they are possessed.” That’s a remarkably large gob of spittle to pack into just two dozen words. But judging from election returns, the people living in Santa Rosa and the other local Copperhead towns were headed in the opposite direction and became more moderate over the duration of the war. Votes are a problematic measure of public opinion (especially back then, when only white males could vote) but it’s the best measure we have. Before the 1860 election, Thompson told readers that Lincoln was a bumbling fool who would soon cause the collapse of the Union (see “THAT TERRIBLE MAN RUNNING FOR PRESIDENT“) and the county seemed to agree with him; overall, two out of three voted against Lincoln.3 In Santa Rosa he only got about half that many votes (18 percent). That year was an odd four-way election with both Northern and Southern Democrats in the running. Besides Lincoln, the official Democratic Party candidate was Stephen A. Douglas, who thought he could somehow forge a grand compromise to keep the United States patched together; Southern Democrat Breckinridge, who wanted to uphold slavery as an absolute Constitutional right; and third-party candidate Bell, who wanted to appease the South by ignoring the slavery issue altogether. As shown in the table above, the hardliner Breckinridge won in every town except Petaluma. Votes in the Analy district seem mixed because it encompassed Bloomfield, which was nearly as large as Sebastopol at the time (!) and where they enthusiastically supported the Union. Note also that Lincoln won in Petaluma, but the combined anti-Union candidates still got the most votes there. The race for governor was a mirror of the previous year’s presidential election. The party-of-Lincoln Republican was Leland Stanford who was opposed by moderate and hardline Democrats: John Conness, the squishy “Union Democrat” who wanted a ceasefire followed by some sort of peace talks, and John McConnell, the (I kid you not) “Dixie Disunion Democrat” who wanted to drink the blood of Lincoln supporters, or something. The radical McConnell won in the pro-rebel towns, but Stanford did far better in those places than Lincoln had. 1862 was a minor election year not discussed here, as there were only candidates for the state legislature – races where personal links may trump political party loyalty. Thompson complained the results were a setback for Democrats. The 1863 election was another one for top state offices and had an interesting twist: Voters could choose a party slate for all those positions – presumably there were checkboxes for “All State Democrats/Republicans,” or similar. And so they did; county votes for all Democratic candidates hover around 1,715 and around 1,690 for all Republicans. As shown below, this provides an opportunity to guesstimate party loyalty in the five main communities. 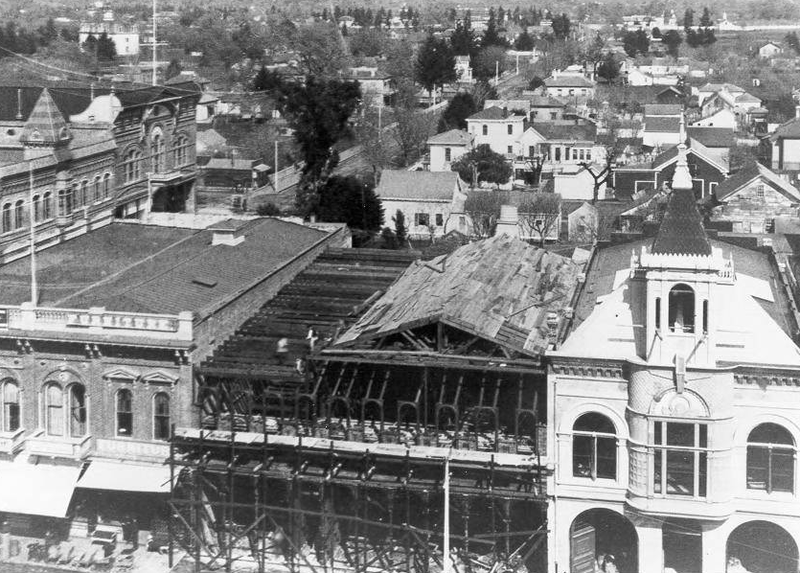 Compared to 1860, Confederate support was weakening – even while the Republican majority in Petaluma grew stronger. Twice as many voted Democrat in the Copperhead towns while in Petaluma-Bloomfield, for every two who voted Democrat, five voted Republican. Also in 1863 the remaining wheels on Thompson’s bus began flying off. In his newspaper there was no longer even a (R) designation next to a candidate’s name – now he used (A) for the “abolition” party. His pro-rebel propaganda took on a new urgency; in his paper that year, Gettysburg was reported as a strategic withdrawal and not a Southern defeat. That was also the peak year of reported activity by the “Knights of the Golden Circle,” a seditious underground rebel group mainly operating in the Midwest. It’s now believed there really was no organization behind it, being instead uncoordinated attacks and other acts of violence by anti-Yankee deplorables – that the KGC was mostly a bogeyman ginned up by Northern papers wanting to write sensationalist propaganda about domestic terrorism. Nevertheless, the fear was real and also in 1863 a “Union League” was formed in California to counter the supposed threat. Meanwhile, the Sonoma Democrat reprinted items about the KGC to bolster its “fake news” claim of grassroots opposition to the Union within Northern states. More on this topic will appear in a later item. And that brings us to 1864, the year of Lincoln’s re-election. This time he had just one opponent – George McClellan, former general-in-chief of all the Union armies until Lincoln removed him from command after his epic military failures of 1862 including Antietam, where a quarter of the entire Union army was killed or critically injured in a single day. McClellan campaigned as the anti-Lincoln, telling voters he personally knew the president was an oafish clod who would let the the war drag on forever. Lincoln won the election in a landslide. In Sonoma county, Lincoln fared better than he had in 1860, when two out of three voted against him (66%). This time he still lost in the county overall, with most voters (57%) picking McClellan.4 True to form in printing only good news about the South, the Sonoma Democrat never published Lincoln’s total local vote. RODERICK MATHESON went East to attend Lincoln’s inauguration and when the war began he was still in New York City, where he was instrumental in organizing the California Regiment (technically, the 32nd Regiment of New York). Colonel Matheson died of injuries from the 1862 Battle of South Mountain and was the second Californian to die in the war. His body was shipped around the Horn back to Healdsburg (“the body has been embalmed, and the features have a very life-like look” – Daily Alta) and buried in Oak Mound Cemetery. 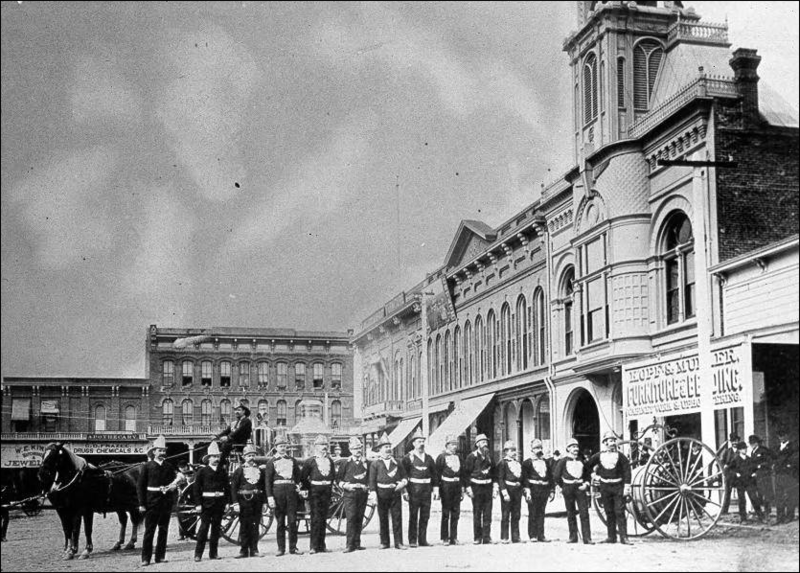 His funeral cortege on November 9 from Petaluma to the graveyard was the only occasion during the Civil War when a truce was declared between the armchair warriors of Petaluma and Santa Rosa, the procession stopping in the City of the Roses for lunch and eulogy from “General” Otho Hinton. ROBERT FLOURNOY resigned as Sonoma county District Attorney in July, 1861 to fight for the Confederacy. He was Captain of Company E, Arkansas 13th Infantry Regiment, and the next year the Petaluma Argus printed that his head was shot off by a cannonball (it was more than a year later before that paper reported that his head was indeed still mounted). As the rebel forces fell into disarray and dwindled, his company was consolidated with others from Kentucky and Tennessee. After the war he became an attorney in Louisville, later moving to Los Angeles where he spent the rest of his life. REGINALD THOMPSON stuck close to Flournoy through the Civil War and after. They went East together, enlisted with the same Confederate regiment, and Captain Thompson took command of Company E when Flournoy was reassigned. Years later a story about Thompson was told by his commander: Their brigade was making its way on foot through a heavily-wooded area when a Union soldier stepped out from behind a tree and took dead aim at him. He stopped, stood up straight and told the soldier, “shoot, and be quick about it.” Cowed by Thompson’s bravery, the soldier lowered his rifle and allowed the “little captain” to pass. Following the war he became a Louisville lawyer like his friend Flournoy, remaining there for the rest of his life and where he became a much respected municipal judge. He was a notary public in Santa Rosa before the war but once he left, was never mentioned again in the Sonoma Democrat although he was the brother of editor Thomas Thompson. Biographical materials about Thomas refer just to his two other brothers; only Thomas’s obituary in the Press Democrat names Reginald as “another brother” far down the article in a paragraph listing their sisters. No notice of his death in 1899 can be found in any Sonoma county newspaper. 3 In the 1860 election there were 3,764 total votes in Sonoma county, with 1,236 voting for Lincoln. For the towns shown in the 1860 table above there were 2,327 total votes, with 767 voting for Lincoln. 4 In the 1864 election there were 4,686 total votes in Sonoma county, with 2,026 voting for Lincoln and 2,386 for McClellan. Cᴏᴘᴘᴇʀʜᴇᴀᴅ Nᴇᴡsᴘᴀᴘᴇʀs Iɴ Cᴀʟɪғᴏʀɴɪᴀ. In answer to a correspondent, the San Francisco Flag gives the following as the list of Copperhead papers in California: Yreka Union, Colusa Sun, Marysville Express, Sierra Standard, Auburn Herald, Snelling Banner, Placerville Democrat, Dutch Flat Enquirer, Sonora Democrat, Amador Dispatch, Mariposa Free Press, Los Angeles Star, Napa Echo, Napa Reporter, Santa Rosa Democrat, Stockton Beacon, and Beriah’s Press, the Monitor, the Gleaner, the Hebrew, Irish News, Echo du Pacifique, L’Union Franco Americane, of San Francisco. There are several of the above-named sheets whose disloyalty is of a very mild form, and some of the balance are so utterly flat, obscure and devoid of any life or influence, that they hardly deserve enumeration as having any political complexion at all. Gone East. — R. C. Flournoy, Esq., has resigned the office of District Attorney of Sonoma county, and is on his way to his native State—Arkansas. A. C. Godwin, Esq., of Petaluma, has taken his departure for his native State—Virginia. Reg. H. Thompson, Esq., resigned the office of Notary Public, and has also gone East. The latter is a brother of the editor of this paper and was recently one of its editors. We are sorry to part with so valuable a portion of the community, and trust that they will return at no distant day. But theirs is a sacred mission. They have kindred there—brothers, sisters, fathers and mothers—who will need probably their presence. May they have a safe return. We’ve certainly gotten a lot of rain this year. Now imagine getting even more than this during just 25 days. Well, no. For starters, weather records didn’t suddenly begin in 1904; the old county histories list rainfall totals going back to 1853-54, and the PD used to print annual tables before the turn of the last century. Although there are a few years around 1920 where summaries aren’t reliable, we’ve got a pretty good picture going back over 160 years. Going by all that data, 1889-1890 was the wettest rain year with 56.06 inches measured. I posted a correction to their article on my OldSantaRosa Facebook page and thought it was a settled matter – until I came across an article from the January 2013 Scientific American. 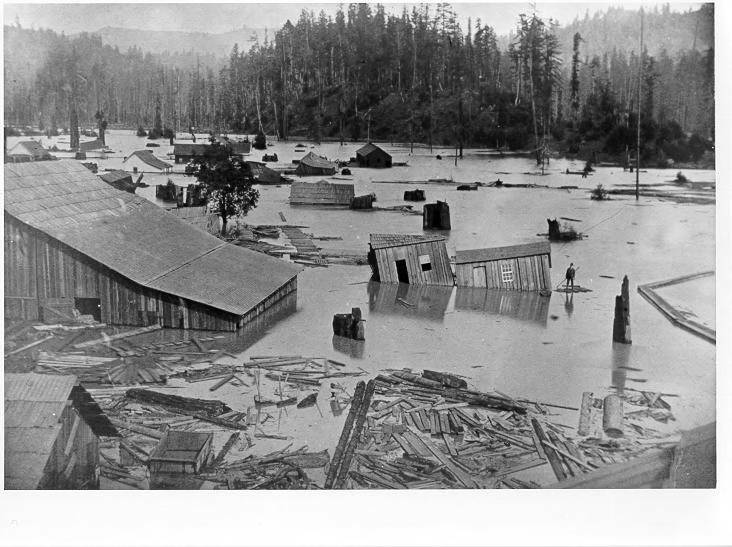 “California Megaflood: Lessons from a Forgotten Catastrophe.” Described there is the winter of 1861-62, when there was so much rain that the Central Valley became a giant lake up to 30 feet deep. Napa was flooded to four feet and Sacramento was under ten feet of water, remaining accessible only by boats for months. It was a disaster hard to imagine today. Lucky Sonoma County! According to the histories, that rain year we received 46 inches – higher than our average of about 30 inches, but certainly manageable. But just for fun, I decided to see what the Santa Rosa newspaper had to say at the time. The items from the 1862 Sonoma County Democrat, transcribed below, documented Santa Rosa receiving 58 3/8 inches of rain over six weeks – more than the all-time record for entire season. And there were two snowstorms, with the last one leaving more than an inch in the town. All together it rained for 25 days over six weeks. No one died (as far as we know) but animals drowned and “a few houses in various parts of the county… [lost] their perpendicular ‘posish.’” It was such a mess that a wagon with a team of horses took sixteen days to travel from Petaluma to Santa Rosa. Why did the old county histories coverup this historic flood? The reported 46 inches for that season first appeared in Robert A. Thompson’s 1877 “Historical and descriptive sketch of Sonoma county, California,” and his numbers were copied in later histories. Thompson’s booklet – which was unabashedly a promotional item to encourage people to move here – did mention Santa Rosa plain lightly flooded sometimes. But to reveal only fifteen years before there was a disaster that killed livestock and destroyed property might understandably make a few potential property buyers skittish. So how much total rain did Santa Rosa received in 1861-62? Alas, the local newspapers never reported a total, as far as I can tell – probably also to not scare away newcomers. But we can make a guess: Normally, roughly 45 percent of our annual rainfall happens during that window, and it otherwise was an exceptionally wet year overall. If the Santa Rosa newspaper was accurate in measuring over 58 inches during that time, it could mean the rainfall total for 1861-62 was over 130 inches. That may seem crazy, but it’s in line with other parts of the state mentioned in Scientific American where they experienced four times normal precipitation that year. Even if you shave those numbers back, our ancestors still received around twice as much rain as we have (so far) in 2016-2017. Could we cope with a disaster of that magnitude? I don’t want to think about that – and unfortunately, I doubt our public agencies are spending any time thinking about it either. And did I mention that a flood of that magnitude apparently happens less than every 200 years? Wintry. — On Saturday night last the good folks of Santa Rosa and vicinity were visited by quite a snow storm. It lasted about two hours, and on Sunday morning the hills surrounding the town presented a very beautiful appearance — the tops being clad in white. The Storm in Sonoma County. – During Wednesday and Thursday of last week, the rain came down in torrents, causing a great flood, which has probably done more damage than even the great flood of ’52. From every section of the State we have news of the most terrible results. In Sonoma county, though comparatively less property has been destroyed than in other portions of the State, yet we, too, have suffered. On Thursday night, about midnight, the Santa Rosa creek began to overrun its banks, and by two o’clock the town was completely submerged – the water being in several of the streets about fifteen inches deep, and flooding several buildings. It remained in this condition until about daylight, when it commenced to recede, and by 10 o’clock the streets were free of water. Our greatest sufferers this time were persons residing immediately on the banks of the creek. Mr. Wm. H. Crowell, Deputy County Clerk, sustained heavy damage by the caving and washing away of a large portion of his land, together with fences, etc. 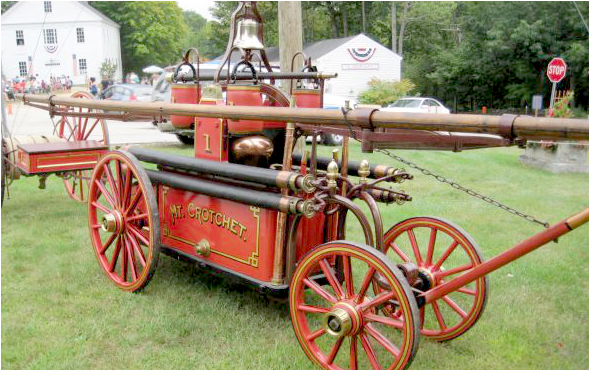 ; he estimates his loss at $1,500. Mr. E. D. Colgan of the Santa Rosa House, was damaged in the neighborhood of $1,000, by loss of stock, land, fences, and a beautifully cultivated garden, that was entirely covered with sand from the creek, and all the plants destroyed. Mr. John Ingram suffered a great deal, from loss of fences and damage to his orchard. These are the principal sufferers that we have heard of, though all persons residing along the creek were damaged to some extent by loss of fences and stock. The Santa Rosa bridge still holds on, notwithstanding the foundation at each end is partly washed away. Almost every bridge in the county has been carried off, and for four days we were entirely deprived of communication with any section. We are informed that the saw-mill of Messrs. Caldwell, Levy & Witty, at the month of “the canon,” on Russian River was swept away, and a great amount of damage done all along the banks of the river. The Great Storm and Freshet Rain has fallen hereabouts without material cessation, since the last issue of the Democrat — the severest storm and fresh, et ever experienced in this part of the country, since its settlement, still continues without any sign of abatement. The sensitive streams rise and fall with the capricious falling of the rain. The banks of Santa Rosa creek have been washed away to that degree, that the capacity of its bed is nearly doubled. Wo do not learn of much damage other than all may imagine in the destruction of such ordinary kind of property as fences, bridges and cattle, beyond the carrying away of the dwelling of ’Squire Spencer, situated upon a slough near Healdsburg, and the undermining of a few houses in various parts of the county, causing them to lose their perpendicular “posish.” Santa Rosa bridge was doubtless prevented from floating off, from the fact of its being secured by ropes. The roads are impassable, and not a few of our citizens have experienced some inconvenience from a want of provisions and other necessaries, as well as the utter absence of postal accommodations, in consequence. No mails have been received since Thursday of last week, no stage has reached here from Petaluma, since then, and but one from Sonoma, which got through on Sunday, bringing San Francisco papers of the 18th — our latest intelligence from the outside world. A loaded team bound for Ukiah, reached this place the other day, from Petaluma, having been sixteen days on the road, a distance of as many miles. It resumed its course, but only got a mile and a half from town, when it was obliged to “lay over.” As we write (Tuesday evening.) our town is just overflowed from the creek, the water reaching to our office door – a distance of quite two hundred yards. Rain has fallen heavily all day, accompanied toward night wit – thunder and lightning! What a time! THE QUANTITY OF RAIN.-We have been favored with a statement of the amount rain that fell in this neighborhood, from December 22d to February 2d, inclusive. The rainy days of December, commencing with the 22d, were: the 22d, 23d, 24th, 26th, 27th, 29th, 30th, and 31st; January 2d, 3d, 4th, 5th, 6th, 7th, 8th, 9th, 10th, 12th, 15th, 16th, 20th, 22d, 23d, 24th, 27th; February 2d. During these days of December, 8 5/8 inches of rain fell; of January, 48 3/8 inches; of February, 1 3/8 inches – making a fall of 58 3/8 inches of rain in the course of six weeks. Besides this, snow fell on the 30th and 31st days of January.